This is the last Will and Testament of me, Richard Smith, of Long Croft in Keighley in the County of York, Grocer. I bequeath to my dear wife, Martha, the whole of my household funiture, stock in trade, and book debts for her absolute use subject to the payment of my just debts, funeral and Testamentary expenses, and the costs of proving , establishing and registering this, my Will. I bequeath to my son, Samuel, the proceeds of my Life Insurance Policy effected by me with the Caledonian Insurance Company for his own absolute use. Whereas it is my intention in my lifetime to give to my said son, Samuel, the sum of Four hundred and fifty pounds, invested by me in the Keighley and Craven Permanent Benefit Building Society, Now, in the event of my not carrying into effect such desire in my lifetime, I hereby bequeath to him the said last mentioned sum. I devise and bequeath unto my friends, Joseph Smith of Keighley aforesaid, Grocer, and William Clapham of Keighley aforesaid, Spinner ( son of Thomas Clapham, Ironfounder ), the whole of my real and residuary personal estate upon the following trusts, that is to say, Upon trust to pay the income of the whole of my Estate to my wife Martha for so long a time as she shall remain my unmarried Widow, and I hereby express my desire that my daughter in law Louisa, wife of my son Hiram, and their child Kate, shall reside with my said wife if agreeable to her, and if they shall not reside together then I direct my said wife to pay to my said daughter in law, so long as she shall remain the wife or unmarried widow of my said son, the sum of eight shillings weekly for the maintenance of herself and her said daughter. Such weekly sum of Eight shillings to be the separate property of my said daughter in law. After the death or marriage again of my said wife, I direct my said Trustees and Executors, out of my personal estate, to invest the sum of five hundred and seventy five pounds and to apply the Income thereof in their discretion for the Benefit of my said son Hiram, and I direct them to invest the further sum of five hundred and seventy five pounds and to pay the Income thereof to my said daughter in law, Louisa, wife of my said son Hiram, for so long a time as she remains the wife or unmarried widow of my said son, for the maintenance of herself and child or children by my said son. And on the decease of my said son, do the said sum directed to be invested for his benefit, and on the death or marriage again of my said daughter in law, as to the said sum, so directed to be invested for her benefit, I direct that the payments, respectively, shall be paid to the child, if only one, or to the children equally if more than one, of my said son and daughter in law. I also direct my said Trustees and Executors after the decease of my said wife to invest the sum of two hundred pounds out of my personal estate and to apply the same for the benefit of my daughter Jane Park. And hereafter in like manners, so I have hereinafter declared with reference to my dwelling houses at numbers 3, 4, 5, and 6 Gladstone Street and Gladstone Place in Keighley aforesaid. And after the decease of my said wife I direct my said Trustees to hold my dwelling house and shop at Longcroft, now in my own occupation, and my dwelling houses Numbers 43, 44, and 46 Green Street, Also the Pig Cotes and vacant ground adjoining thereto all in Keighley aforesaid, to the use of my son John for his life and after his death for his child if only one, or his children jointly if more than one, as tenants in common in equal shares. After the decease of my said wife I direct my said Trustees to hold my dwellinghouses Numbers 3, 4, 5, and 6 Gladstone Street and Gladstone Place in Keighley aforesaid to the use of my said daughter Jane Park for her life for her sole and separate use and after her decease Upon trust for her child if only one or her children equally if more than one as tenants in common. After the decease of my said wife I direct my said Trustees to hold my dwelling houses Numbered 7, 8, 9, and 10 Gladstone Place and Gladstone Street aforesaid also Numbers 50 Sun Street and 42 Green Street in Keighley aforesaid to the use of my daughter Matilda, wife of Joseph Hartley, for her life and after her decease Upon trust for her child if only one or her children equally if more than one as tenants in common. In case of my said daughter predeceasing her said husband leaving a child or children under Twenty one years of age then I direct my said Trustees to pay the annual income of the fortune of my said daughter to her said Husband until the youngest of her children for the time being shall attain majority for the maintenance of such infant child or children. I direct that for the purpose of transmission all my real estate shall be deemed to be converted into personalty as from my decease. In the event of total failure of issue of any child of mine before such issue shall become entitled to possession of his her or their share under this my Will I direct that the share or fortune of such child of mine so dying without issue shall be divided amongst my other grandchildren then living or the issue (taking per stirpes) of any grandchild of mine then deceased. I empower my said Trustees, with the consent of the person for the time being entitled to a life interest therein, to sell and convey any part of my real estate. I declare that the shares of females under this my Will shall be for their sole and separate use. I appoint the said Joseph Smith and William Clapham Executors of this my Will and herein revoke all former Wills. Signed by the said Testator Richard Smith as and for his last Will and Testament in the presence of us present at the same time who in his presence at his request and in the presence of each other have hereunto subscribed our names as witnesses. On the 28th July 1884 Probate of this Will was granted to Joseph Smith and William Sugden Clapham son of Thomas Clapham, the Executors. ON the 17 day of July 1907 Probate of this Will was granted to John Bracewell and John William Riley the executors. Richard Smith and Martha Hanson were children together in Long Lee, a hamlet in Keighley Parish. They were married in 1834 when he was eighteen, and she was sixteen and five months pregnant. Their marriage lasted fifty years until Richard's death in 1884. When this Will of Martha's was made, on the 7 May 1892, Martha's husband had been dead for eight years. Only three of Richard and Martha's seven children were still living at this time. Martha would live for fifteen more years and when she died in May of 1907, at ninety years of age, only her daughter Jane would still be living. 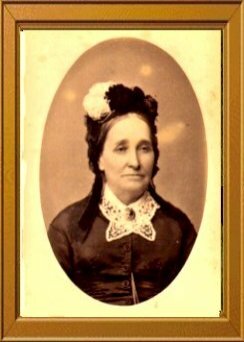 Six months after this will was made Samuel Smith, her only surviving son, died in Fayette county, Iowa, on 14 Nov 1892. Three years later, in 1895, Martha was visited by her granddaughter from America, Sarah Martha Ahinoam Smith, a daughter of Samuel who kept a daily diary of the summer she spent in Yorkshire. Many of the people mentioned in the will also appear in Sarah's diary. In 1898, Martha's daughter, Matilda Smith Hartley died. She was the wife of Joseph Hartley and the mother of Martha's three grandsons, Sam, Alfred and Richard Hartley [and a granddaughter?, Edith Hartley Marchant?). The two nephews whom she named as executors were sons of her sisters Sarah Hanson Bracewell and Rebecca Hanson Riley. The granddaughter, Kate Aubrey Smith, was the only child of her deceased? son, Hiram Smith, and his wife Louisa. Kate Aubrey Smith's name appears in the birthday books of Sarah Smith and her brother Tom Smith of Iowa. Sarah's birthday book also includes a date of death for Kate Aubrey Smith: 6 Feb 1955. No married name is given for Kate Aubrey so she may never have married. Georgina Park was another granddaughter of Martha. She was the only child of Martha's daughter, Jane Smith Park Hobson, to survive to adulthood as far as I know. Georgina was a 'double cousin' to the children of Samuel Smith in Iowa. 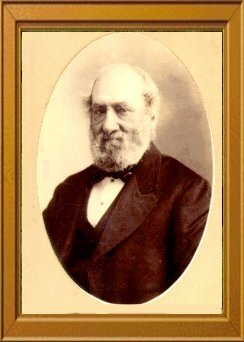 Her father was George Park, who was a brother of Hannah Park, the wife of Samuel Smith. Her father died a few months before she was born and her mother later married Jabez Hobson. Georgina's name also appears in the birthday books. She evidently married a man named Homes ( or Holmes ). Martha's daughter, Jane Hobson, died 22 Jan 1923. We do not know whether she exercised the option to buy her mother's house on Cliffe Street. "Richard H. Smith, from his Grandmother, trusting he will take great care of it & keep it in memory of his Grandfather".